Flash cards are one of the classic study tools, and for good reason – they promote studying through active recall, which is one of the practices through which our brains learn most effectively. I want to help you avoid making those mistakes, as flashcards can be very effective when they’re used correctly. For example, when I was learning Japanese, I made extensive use of flashcards for studying kanji. Doing so helped me learn very quickly. 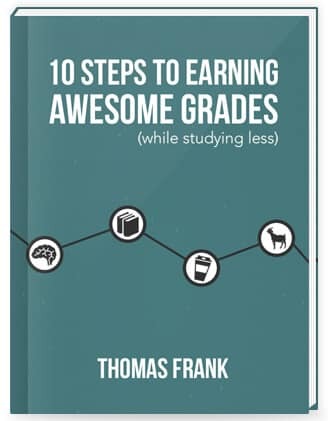 You’re probably studying a subject right now that would benefit from flash card study as well, so it’d be useful to learn the best practices for making and studying those flash cards. In this article, I’ll go over 8 of those best practices. Let’s get into it. Lots of people like to share their flash card decks, and there are also plenty of flash card apps and programs out there that will let you download pre-made decks and start studying instantly. I think using pre-made cards can sometimes be useful – such as a case where you have an unreasonably high number of facts to learn and you’re in a time crunch – but in most cases, you’ll serve your brain better by making your own flash cards. Doing so creates strong neural pathways, which enable you to easily retrieve what you’ve learned at a later date. That’s why one of professor Marty Lobdell’s tips in his Study Less, Study Smart lecture was to teach what you’re learning – doing so forces you to present the information in your own words. When you use pre-made flash cards, you’re skipping that entire part of the process. In most cases, the time you save isn’t worth it. Plus, deciding to make your own flash cards gives you the ability to customize them and make them better. The next four tips will show you exactly how. Adding pictures to your cards can make them a lot more memorable. In cognitive psychology, there’s a concept called the Picture Superiority Effect, which describes how people tend to remember imagery a lot better than they remember words. When we think about it from an evolutionary perspective, this makes complete sense; written language has only been around for about 5,000 years (and Homo Sapiens have been trotting the globe for over 200,000), and our brains have evolved to be very sensitive to imagery. The locations of food, the animals that want to eat us or stomp us into the ground – these things are far more important to our brains than abstract squiggles on a page. However, this doesn’t mean that you should replace the words on your cards with pictures. Our brains are surprisingly adaptive, and it turns out that a mixture of pictures and words works better than pictures alone. By adding descriptive sentences – or even single terms – alongside pictures, you can increase your brain’s ability to recall what you’re studying. In preparation for writing this article, I decided to start learning and memorizing the Periodic Table of Elements. I thought this would be a fun challenge, since I actually never took chemistry in high school, and I find science a lot more interesting now than I did back then. Additionally, it gave me the opportunity to make my own flash cards, which I was able to use as examples here. You can see some of my chemistry flash cards above – and you might think they look a bit weird. What the heck do all these dumb drawings have to do with elements? Here’s how they’re relevant: They’re mnemonic devices. Now, a mnemonic devices is anything that helps you build an association between two pieces of information in your mind. That rhyme fails to convey how awful of a person Columbus was, but it does help us remember the date quite nicely. The weirder and wackier your associations are, the more easily you’ll remember them. That’s because your brain is adapted to remember things that are out of the ordinary. It readily deletes mundane things like the chit-chat you had buying your morning coffee, or which Ninja Turtle was on the underwear you put on this morning. So feel free to make your pictures crazy. Also, remember that you’re making these cards for you; it doesn’t matter if the associations make sense to other people. They should be making their own cards. Let’s imagine for a second that you’re taking a class on the History of Aircraft. I mean, why wouldn’t you? Airplanes are freaking awesome. Anyway, now you’re studying for an exam and you need to know some information about the first airplane: The Wright Flyer. …and just like that, you’re now the proud owner of a bad flash card. Here’s why. By including multiple facts on one card, you’re more likely to run into illusions of competence. These happen when you think you know something that you actually don’t – a situation that usually arises when your brain mistakes recognition for recall. Our brains are really good at recognizing things we’ve seen before. However, recall isn’t the same thing – recall is the act of retrieving something from memory without an explicit cue. When you study a flash card with multiple facts on it, you risk making this mistake. Say you pull out your “First Airplane” card later on during a study session. You’re going quickly, and your brain readily pulls up the first three facts. Wright Flyer… check! 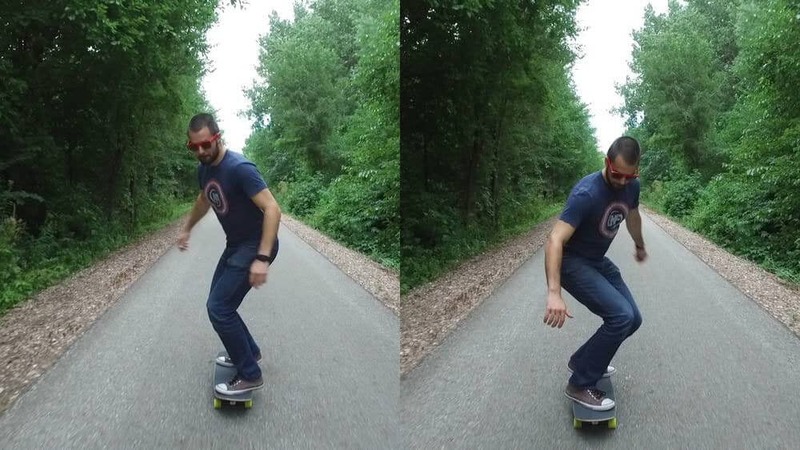 1903… double check! Flew four times… easy. …and then you move on. You feel like you know the card since you got it mostly right, and because you recognized the fourth fact. By ensuring that each of your cards only contains one question or fact, you won’t run into this mistake. This tip builds off of the previous one, but it’s important enough to have its own spot on the list. See, some concepts or ideas are too complex to be encapsulated in one question. These kinds of concepts need to be broken down into multiple questions in order to be studied well using flash cards. Take the card above. I’ve colored the Periodic Table this way in order to represent the different groupings of elements – which is a great way to start memorizing those elements. Once again, we’ve got a card that invites those pesky illusions of competence. Maybe you can name all but one of the element groupings – but the last one might tag along and masquerade as a fact you can recall. Alternatively, if you made card that simply asked for one of those element groupings, you’d know for sure whether you got it right or wrong once you turned that card over. When I’ve studied with flash cards in the past, I’ve always studied them by myself – and I did so silently. As a result, I’d get annoyed when my girlfriend would ask me to run through her art history flash cards with her. Now, though, I realize she was onto something – by having me quiz her on her cards, she was forced to say her answers out loud and have me verify them. This is yet another way to keep those illusions of competence at bay, as there was no way to fudge the answers. However, if you don’t have a buddy or reluctantly willing significant other around to quiz you, you can get a lot of the same benefits by simply saying your answers out loud before flipping your flash cards. That way, you’re committing to your answer before checking it. If you don’t do this, you increase the probability that you’ll only be able to recall a one side of a card easily. …and totally choke on the answer. So build those bi-directional pathways, friend. Remember that flash cards are only one method of reviewing material. 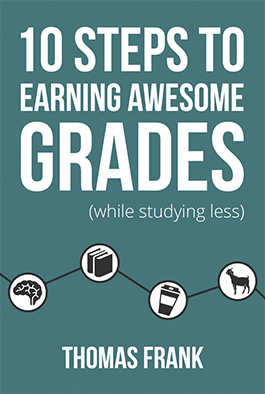 There are lots of others that may be more effective, depending on what type of material you’re studying and how far you are into the learning process. Flash cards are very good at helping you drill relationships between two pieces of information – but that’s it. That makes them good for learning definitions, vocabulary words, etc – but it makes them a particularly bad study tool for information that fits into a larger visual or organizational hierarchy. For example, imagine trying to learn all the atomic numbers of the elements of the Periodic Table using flash cards. You’d have to rely entirely on mnemonics to do that; there’s no obvious connection between the numbers and the element names. Magnesium is pretty easy to tie to Mg – but it’s not easy to tie to the number 12. Moreover, the layout of the Periodic Table is much more effective for learning those numbers. By learning the groupings and using other mnemonics, you can quickly get to the point where filling in the entire table from memory becomes easy. From there, you can simply pick a box and figure out its number. 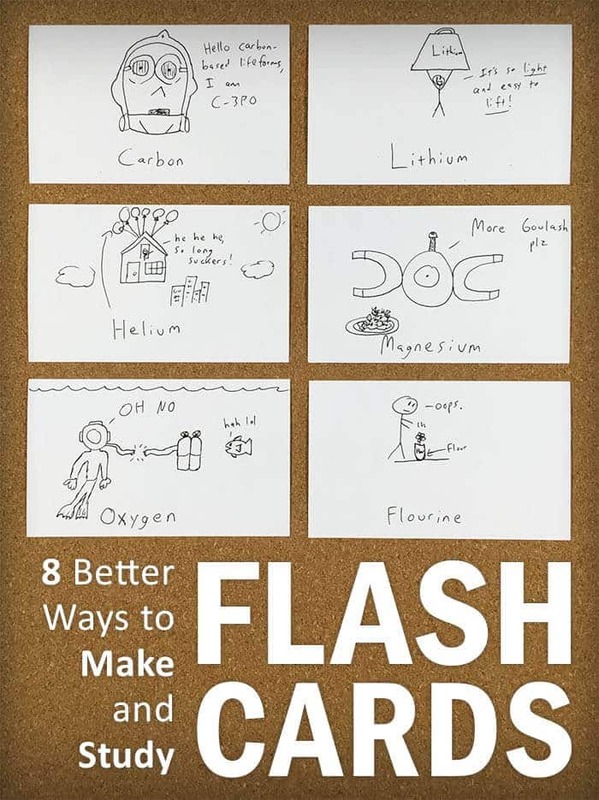 Hopefully these tips will help you make better flash cards in the future. In the next post, I’ll be following them up with an in-depth look at how to use spaced repetition to study even more effectively.